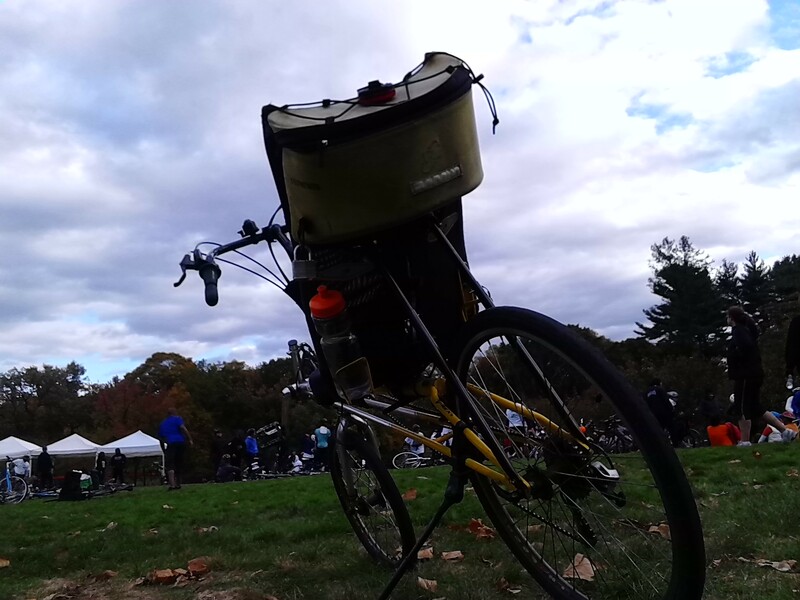 My V-Rex, looking out over the New York Botanical Garden at the end of the Tour De Bronx on 10/26. Apologies for taking a hiatus. I have two or three posts waiting final touches. Stories about New York and transit, about Ebola scares and Climate Disruption. But those had to wait. On Sunday the 26th, I rode the Tour de Bronx. It’s a bicycle tour through New York’s least storied borough. Scenery includes the Bronx River Greenway, City Island, the various bicycle paths along the Mosholu Parkway and the Pelham Bay Parkway. Sadly, the venerated Sheridan Expressway is no longer closed down for one leg of the ride (it was a cool way for people to unwind on their bikes for a couple miles and see if their legs have 40+ mph in them). It’s a free ride,set up by Transportation Alternatives, paid for by the Bronx tourism office and a whole lot of other people. I haven’t done the Bronx ride in four or five years, but (as it’s one of the last tours in NY before winter sets in) I thought it would be worth doing. I chose the 40 mile route. And this year I had 7,000+ friends with me. I’m told that was the largest turnout ever for the ride, which celebrated its 20th year on Sunday. Interesting factoid: Did you know the Bronx has some of the most hilly places in the Five Boroughs? I do now. And what makes these uphills really challenging is the fact that most of them are shared with cars, many of which are driven by people not so happy to see all the bikes blocking their way. It reminded me of hills in parts of Seattle, but with a wider diversity of languages spoken by onlookers. Also, the Bronx road surface needs a bit of work. There’s one short passage across the roads over various interstates where the beginning of the bridge is covered with metal plates and sharp grids. People who didn’t know this (or who couldn’t get up on the narrow sidewalk fast enough) blew out a lot of tires. I was one of them. At one point I counted about 15 riders trying to revive bikes with blown tubes or cut outer tires. Fortunately, Transportation Alternatives had a beleaguered volunteer or two helping out (memo to self–pack a few extra CO2 cartridges next time, big fella). The ride ends in the New York Botanical Garden, with shouts of Huzzah! and pizza and t-shirts. Unfortunately, there were no plans for 7,000 people. I got pizza but not a t-shirt. I’m hoping someone can fire up the old silkscreen machine should I be willing to part with a small amount of lucre. Also, the end-point is about four miles from the start point, which means that you and a bunch of your new-found friends have to now bike back via the Grand Concourse (unless you’ve carpooled and can bribe a driver to go pick up everybody at the Botanical Garden). I liked the ride, and it’s a freebie. But what I noticed this time was fewer of the local characters that made it special. You could always count on rubbing shoulders with some local guy who was riding a 50’s era Schwinn cruiser or other oldie with completely polished chrome and sometimes a fake raccoon tail hanging off the handlebars. I did see one rider in Edwardian clothes (‘This is what they wore when bicycles ruled the streets’) and there was another individual on a really fat-tired Hulk-green mountain bike who had an Incredible Hulk riding jersey of the same color as his bike. His was probably the only bike on the tour that weighed more than mine. 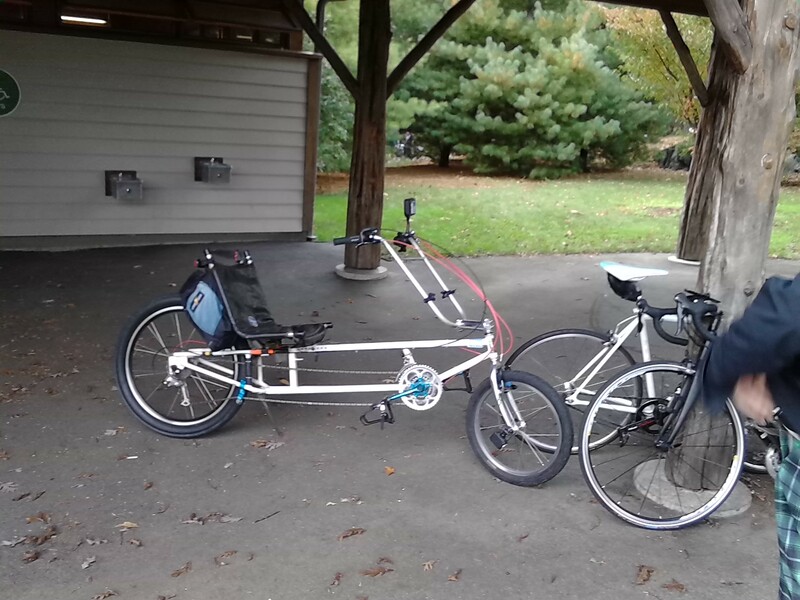 I also saw almost no other recumbents. 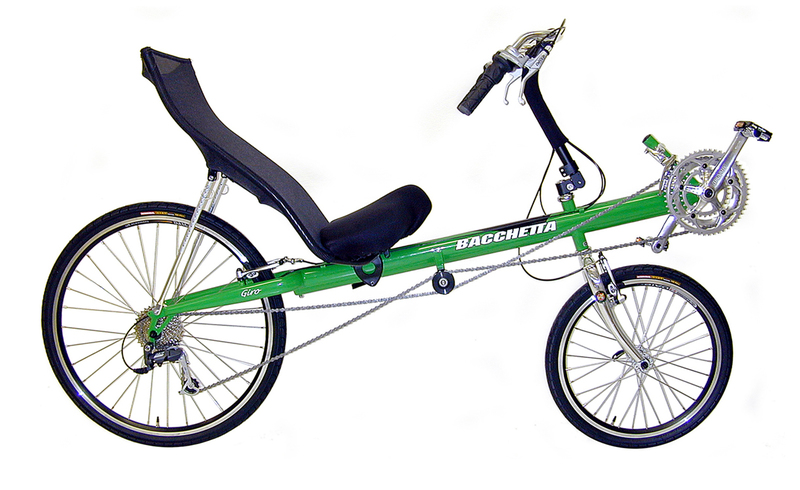 There was one Easy Racer with a windscreen that was hauling a couple of kids in a carrier, and I saw an old friend who was out tooling on his Bacchetta. If it’s a home-built, it’s pretty solid. I was also accused of ‘chillin’ as I went down a hill without touching my pedals. The miscreant was a high-school age kid on a fixie. I caught up to him on an uphill and told him I was ‘chillin like an Eskimo villain’. That is probably the first time I’ve ever used that expression. I like it. The odometer on my bike now indicates that I’ve gone some 10,321 miles on it. As they say around here, Oy. My quads are killing me. Next year at this time?